Andrew’s main research interests are the social and environmental factors which are causally linked to health, wellbeing or the prevention of disease. He has researched the role of schools in the development of overweight and obesity among children and is more broadly interested in the role of schools in child health and wellbeing. Andrew’s research incorporates theories such as salutogenesis and complexity, as well as practice of methods for evaluating causal relationships outside randomised controlled trials, such as natural experiments. As an epidemiologist and statistician, Andrew has a strong foundation in public health and is keen to support public understanding, use and involvement in research. His previous post was as Research Fellow in natural experimental approaches for the Farr Institute @ Scotland within the Scottish Collaboration for Public Health Research and Policy, University of Edinburgh. Consequently, Andrew has taught about the methods available for evaluating complex interventions in health. In September 2015 he gave an invited talk, Evaluation gone wild: using natural experimental approaches to evaluate complex interventions, at the Researching Complex Interventions in Health: The State of the Art conference. Andrew is a member of the Radical Statistics Group and the Royal Statistical Society. In 2014 he was nominated onto the Radical Statistics Group troika. 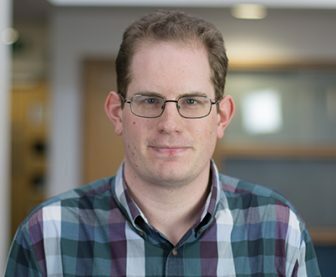 Andrew is one of the first 12 people competitively selected by the Royal Statistical Society to be trained to be a statistical ambassador to the public and media.